Modern Mechanics is a new unified model of motion. It follows in the footsteps of two other theories: classical mechanics and relativity theory. Relativity was able to provide answers in areas where classical mechanics fell short. While relativity has reigned for a century, there is one major problem: it is incurably flawed. Modern Mechanics is as disruptive to relativity as relativity was to classical mechanics. Modern Mechanics is unique: it explains the same things that classical mechanics and relativity both separately explain. It shares a similar foundation as classical mechanics and is based on a different conceptual framework than relativity theory. What is truly exciting is that its equations produce answers that are more accurate than those found using relativity theory’s equations! In this Tutorial, we’ll look at each of the three theories of motion: Modern Mechanics, relativity, and classical mechanics. 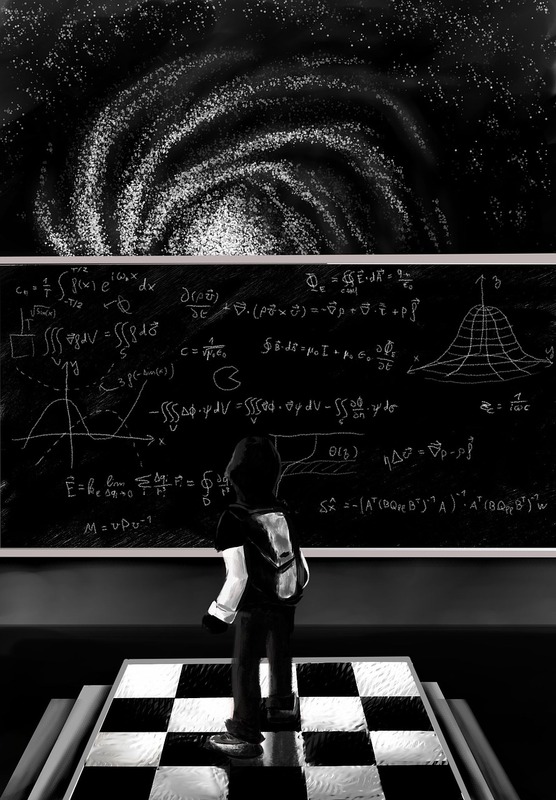 Many people believe that relativity is hard to understand. But, it doesn’t have to be. To simplify our look at relativity, we’re going to use our familiar example involving the bus, the woman jogger, and the street. So, if you’re already comfortable with Tutorial nine, then much of the material we’re about to cover should feel familiar. Once we’re done, we’ll explain how to apply what you’ve learned to understand Einstein’s work, On the Electrodynamics of Moving Bodies. This paper, published in 1905, is where relativity theory began. You can follow along in his paper if you prefer, but that’s not required. By the end of the next two tutorials, you will have seen how Einstein produced one of his key equations, as well as some of the mistakes he made along the way. This Tutorial will be a bit longer than most, so let’s get started! Begin with the familiar example involving a street, a bus, and a woman. As illustrated in Figure A, the front of the bus is at x after it has been moving at velocity v for t seconds. Standing on the street is a woman who is located at the rear of the bus, represented by the black triangle. Notice that neither the woman nor the rear of the bus is at the origin of the street, represented with a “0.” The woman has one goal, which is to run in the street at velocity w from the rear of the bus to its front, where upon reaching the vehicle’s front she will turn around and run to the rear of the bus. The only assumption we’ll make is that at time 0 the rear of the bus was located at the origin. Where will the bus be located when the woman has completed half of her round–trip her journey and how far will she have travelled? This question is the most important question we can answer to assess how the equations for each of the models are produced. the ending position x, the velocity of the bus v, and the amount of time it has been in motion t, are known, but its original position x’ is unknown. Einstein performs Step 1 in Section 3 (§3) of his paper, where he says “x, y, z, t, which completely defines the place and time.” Although he begins with the bus positioned as in Figure A, he will later disregard this placement. Revisiting Tutorial eight, we know that the total round–trip distance the woman runs is the sum of the forward intercept length and the reflected intercept length. If we know those values, we can find the average intercept length, which is also one–half of the total distance she runs, enabling us to answer part of the question. We use the three known values x, v, and t to find the unknown value x’. Because the rear of the bus is at the origin at time 0, the position of the front of the bus, x’, is also the length of the bus. This is a safe assumption, one that is consistent with Einstein’s use of this equation. Revisiting Tutorial one, we could use x’ as the length of the bus or we could alternatively use the expression x – vt, because both are equivalent. When either x’ or x – vt are used in the translation equation, they represent positions. However, when either is used in the numerator of the forward, reflected, or average intercept equations, they represent lengths. Modern Mechanics, relativity, and classical mechanics each properly perform Step 2, which uses the translation equation to reposition the rear of the bus at the origin at time 0 to place the front of the bus at x’. Einstein performs this relocation of the bus so that the its rear is located at the origin in §3 of his paper. Specifically, this occurs when he says “If we place x’ = x – vt, it is clear that a point at rest in the system k must have a system of values x’, y, z, independent of time” (emphasis added). We will later confirm that x’ represents a length when Einstein explicitly uses it in the numerator of the forward and reflected intercept time equations. Recall from Tutorial eight that we can answer questions about the distance the woman runs without needing to know the position of the bus. So, we could leave the bus in its repositioned location with its rear at the origin, as in Step 2 Figure B. However, doing so would place us at a disadvantage later when we need to determine the position of the bus after the woman has run the average intercept length, or one–half the total distance. To avoid future mistakes, we will move it back to its position at time t, as illustrated in Figure C.
Notice that the difference between figures A and C is that we now know the length of the bus, x’. Also notice that the front of the bus is at x. It is critically important to distinguish between the length of the bus and the position of the bus. Of the three moving system models, Modern Mechanics is the only one that explicitly uses position and distance. Consistent with the original placement of the bus, its front is at x at time t. The bus has length x’. Since the repositioning of the bus to its original position uses the translation equation, classical mechanics could also perform this step. Einstein fails to return the bus to x at time t. This is a significant oversight that will lead to conceptual and mathematical mistakes in the remainder of his work. However, at this point in his derivation the ramifications of this mistake are not apparent. Just remember, the only purpose of Step 2 was to determine the length of the bus. Had we been given this information originally, the analysis would have started with Step 3 instead of Step 1; Step 2 would be unnecessary. Now that we know the length of the bus, x’, we can determine the forward and reflected intercept times and lengths. As discussed in Tutorial eight, the forward intercept length is illustrated in Figure D. It is the length from the triangle to the circle, which is longer than the length of the bus. It is the length that the jogger runs to reach the front of the bus. The reflected intercept length is illustrated in Figure E is the length the jogger runs to reach the rear of the bus. It is the length from the triangle to the circle, which in this case is shorter than the length of the bus. Notice that when each intercept length is divided by the woman’s velocity w, we have the forward and reflected intercept times, respectively. Each of the theories of motion explicitly use the forward and reflected intercept times, and/or the forward and reflected intercept lengths. Modern Mechanics uses the complete set of concepts and equations. Classical mechanics explicitly uses the forward and reflected intercept lengths, where they are called the Doppler equations. Relativity explicitly uses the forward and reflected intercept times. This occurs in §3 of Einstein’s paper where he uses his time function. Einstein’s time function is a bit more complicated than we have time to cover here, but it is thoroughly explained in Chapter 6 of DISRUPTIVE. In order for the jogger to complete a round–trip journey, she must be able to run to the front of the bus. It is this requirement – that she be able to run to the front of the bus – that introduces a constraint on the equations. To ensure she can accomplish this objective at all times, we have to limit the velocity of the bus: it cannot match or exceed the speed of the jogger. You may be familiar with the idea that nothing can go faster than the speed of light. That idea is based in the same math relationship that limits the speed of the bus. Of course the bus could travel faster, if not for this restriction. We’ve completed four steps and have most of the information we need to answer the question posed in Step 1. With the forward and reflected intercept length, we can find the average intercept length using the addition mean equation or the subtraction mean equation. The average intercept length is illustrated in Figure F. Similarly, we can also use the addition mean equation or the subtraction mean equation with the forward and reflected intercept times to find the average intercept time. Notice that the average intercept length is shorter than the forward intercept length. This means that when the woman has reached the average intercept length, she has not yet reached the front of the bus. Remember, the jogger doesn’t reach the front of the bus until she has traveled the forward intercept length, represented by the black circle. This is an extremely subtle and important revelation, one that we’ll discuss further to in a later tutorial. Einstein arrives at this average intercept length equation in §3 of his paper, but he does not recognize its meaning or significance. As a result, he overlooks the spatial relationship between the forward and average intercept lengths. Einstein performs this replacement in §3 of his paper, when he says “Substituting, x’ with it’s value.” Unfortunately, this is not Einstein’s final equation. He performs an additional step, one that that we’ll discuss in the next tutorial. Remember, in this equation, x – vt is an alternative representation of the length of the bus. We use the Greek letter τ to represent the amount of time required by the woman to run half her journey, to avoid confusing it with time t, which is the amount of time that the bus has already been in motion. Step 5 is where Modern Mechanics excels and reveals the shortcomings of classical mechanics and relativity theory. Although classical mechanics’ Doppler equations are the same as the forward and intercept lengths, classical mechanics does not use the average intercept time or length. Things are much more interesting with relativity. Einstein has produced the average intercept length and time, but doesn’t realize the significance or meaning of the equation! This is so important that it is worth repeating: Einstein finds ξ, which is the average intercept length along the x axis, but does not recognize it as an average, most likely because of his use of the unfamiliar subtraction mean equation. We now have all the information we need to determine the position of the bus after the woman has run the average intercept length to answer the original question. Since time starts at 0, the position of the bus is found when time is t + τ. Therefore, we can solve the problem using one of two equations. In this equation, x” represents the position of the bus after the woman has run the average intercept length. Remember, she started running at time t. So the time we need is t + τ. If we fail to reposition the bus to its position x at time t as Einatein failed to do, then you must use this equation. Both equations will produce the same position, x”, enabling us to answer the question about the vehicle’s location when the woman has completed half of her journey! These equations are illustrated in Figure G. Notice that the front of the bus is ahead of the woman. Remember, the woman does not reach the bus until she has run the forward intercept length, which occurs at the black circle. Of the three moving system theories, Modern Mechanics is the only one that properly addresses Step 6. If all of the information is known, including the average intercept time, then classical mechanics can position the bus at x”. However, classical mechanics does not explicitly account for both distance and position, together. Relativity also fails to properly find the position of the bus. While relativity has all of the necessary building blocks, Einstein did not put the puzzle together properly. Einstein failed to recognize ξ as the average intercept length and mistreats this length as a position. Recall from Step 3 that he failed to properly reposition the bus. As illustrated in Figure H, while he has found the average intercept length, he does not have the proper spatial placement where the woman actually arrives at this length. A second mistake is that he assumes that the front of the bus is at this position. This assumption is one of the reasons Einstein requires the spherical wave proof, which we’ll address in a later tutorial. Fails to recognized ξ as the average intercept length, probably due to his use of the unfamiliar subtraction mean equation to find an average. Fails to reposition the bus to x, its position at time t, after determining its length x’. Incorrectly assumes that when the woman has reached the average intercept length that she has arrived at the front of the bus. This assumption contradicts the fact that the woman does not reach the front of the bus until she has traveled the forward intercept length. Fails to recognize that the position of the bus is always found using the translation equation, which is found using the equation x” = x’ + v(t + τ) or x” = x + vτ. 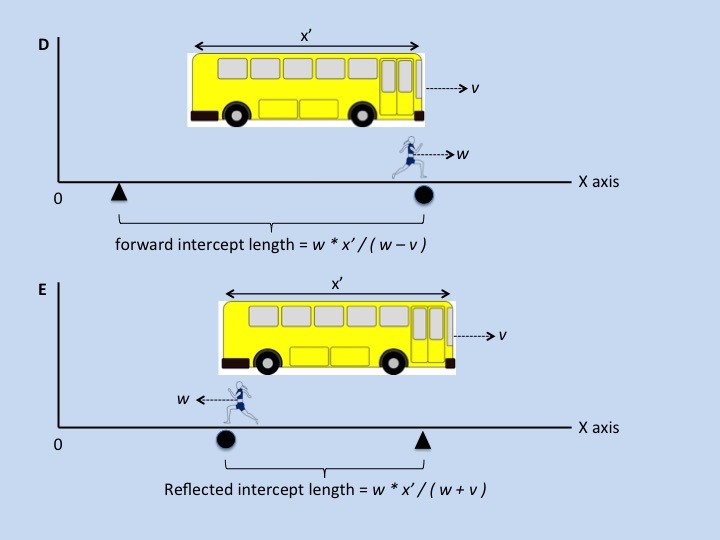 Fails to properly determine the position of the bus when the jogger has run the average intercept length; incorrectly positioning the bus at ξ instead of a x”. (Advanced Statement) While not discussed above, Einstein mistreats his time function as if it were an equation. As a result, he fails to realized that t and x’ are overloaded variables. This leads to additional conceptual and mathematical mistakes specifically associated with the meaning of time. This is discussed in greater detail in Chapter 5 of DISRUPTIVE. While we have one more important step to explore to arrive at Einstein’s final equations, you have been introduced to the key steps he performs to produce his equations. Please keep the following in mind as you review his paper. First, what we call the woman jogger (eg, oscillating system), Einstein calls a ray of light. Second, he uses the variable c to represent the velocity of this oscillating system instead of w. Third, where we say street (eg, outer system), Einstein uses the term stationary system. Fourth, when we say bus (eg, inner system), Einstein uses the term moving system. What you might find interesting is that we have covered most of the key math steps Einstein performs to produce his theory. We’ll cover his last step in the next tutorial. One parting thought as we wrap up this Tutorial. Notice that we have explained the motion of the woman and the bus without resorting to non–intuitive terms like length contractions, time dilation, and space–time curvature. We’ll explain where these terms originate in an upcoming Tutorial, but as you can probably imagine, they are the result of the mistakes in Einstein’s work that we’ve just covered. 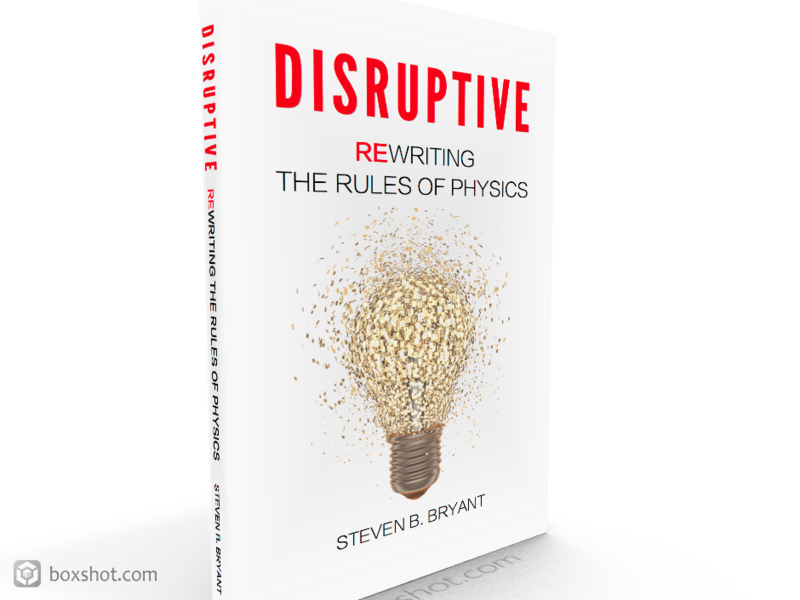 DISRUPTIVE is available now at Amazon.com, BarnesAndNoble.com, and other booksellers!